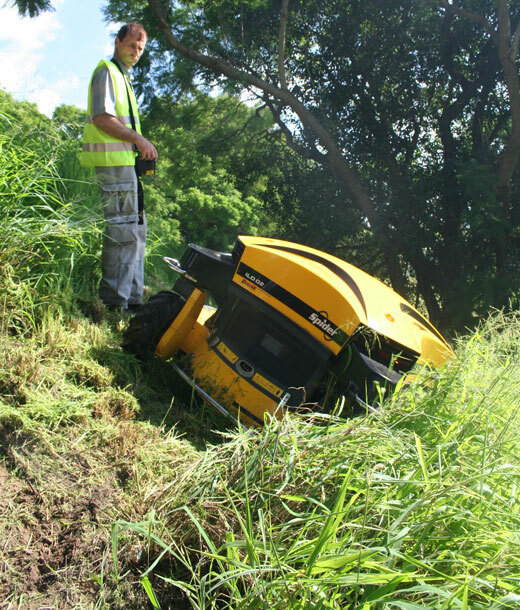 On short run embankments, the operator can comfortably control the Spider mower from the flat areas nearby. These pictures were taken from areas around Grafton bridge NSW. These areas in Grafton were even deemed too steep to be cut using brush cutters because of the risk to slipping. This slope was generally at 40 degrees. 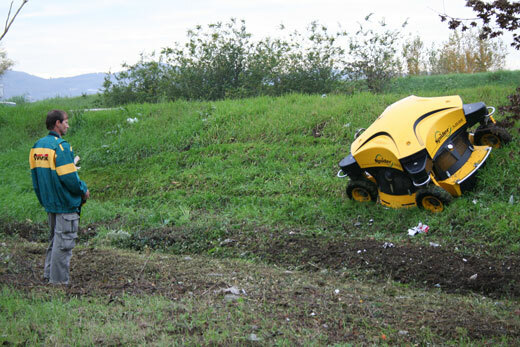 The Spider mower handles exceptionally bulky thick growth; even on slopes. 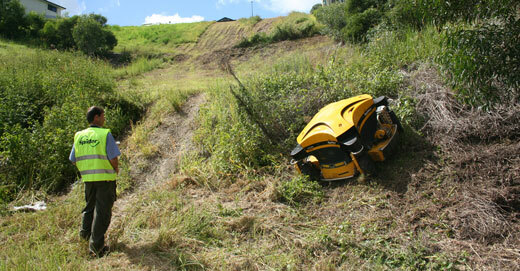 This slope on the QLD Gold Coast was the location of a tractor roll over because of the extreme slope. 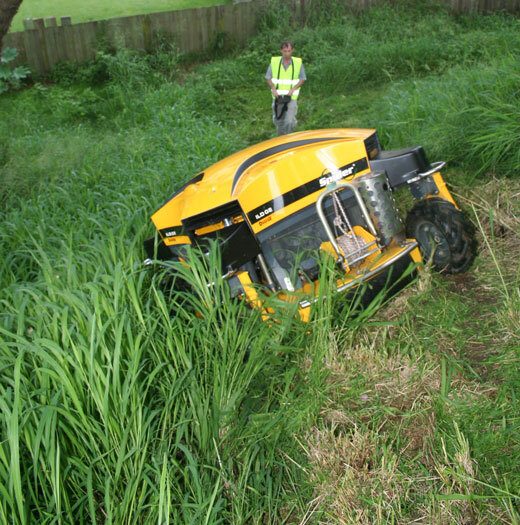 Fortunately the operator of the tractor did not suffer any serious injury. 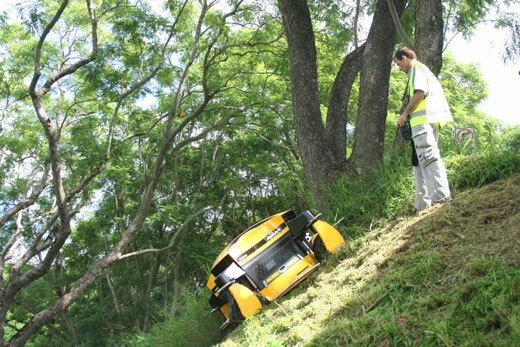 The Spider Mower handled the mowing of this varied slope safely and well within its capabilities. Please Note: Photographed slopes appear less inclined than in real life. The typical SLR camera, whether digital or film, significantly reduces the apparent slope in a photograph. To assess how these working shots compare to your applications, take a series of photographs of the areas that you need cut and compare.